As SMS growth is slowing down, is a new era of free messaging coming up? Text messaging has been one of the most profitable services for carriers for years with profit margins reaching 80%, but it seems that while texting is still growing in the U.S., the last six months have marked the slowest growth of the service. SMS messages have exploded in volume over the last few years, but last semester's rise amounted to only 8.7%, according to industry analysts from CTIA. What are the possible reasons? First of all, it has to be mentioned that as a service becomes ubiquitous, the pace of its growth is doomed to slow down. But that wasn't the only factor – phone makers like BlackBerry and Apple have revolted against texting with their own services like BlackBerry Messenger and iMessage. Both allow users to send texts to other users in the ecosystem for no charge over the Internet. After all, texting is just simple data and unlike video calling it consumes a meager amount of it. At the same time, carriers charge users some 20 cents for each text while interconnect fees within operators run at around $0.04, and unlimited texting runs at around $20 each month. The grand total? Nearly $25 billion in revenue. Different carriers have a different track record about texting: while at Verizon sent messages have been fluctuating up and down around the 2,100 average monthly mark per retail customer, AT&T recorded 21% rise in the first trimester. But while SMS messages might be slowing down, texting in general doesn't seem to be. Actually, it's quite the contrary, if we are to believe last year's study among 4,200 students in the Cleveland area, which showed that one out of five students sends over 120 messages a day. In addition, one out of nine spent more than three hours on Facebook, which also has its own messaging system. The core of the problem seems to be in the early days of mobile telephony. SMS was initially planned as an additional service for GSM networks. Limited to 140 bytes or 160 characters, it was a mere addition to the voice service, but now as carriers are offering gigabytes of data, charging some 20 cents for 140 bytes of it seems excessive. Naturally, instant messaging services have taken off including texting but not limited to it. The most prominent example is – of course – Skype, a small VoIP start-up, ending up being acquired for over $8 billion. So, we come to the point where IM-applications are getting built in the phone, which makes them widely available to millions of subscribers. 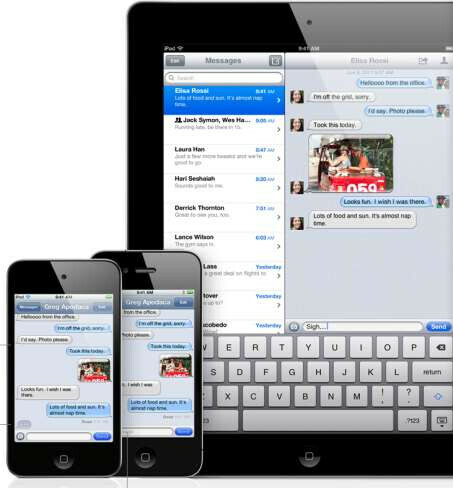 When it comes out this fall with iOS 5, Apple's iMessage will be integrated into the messaging app on your iPhone. That means that you can leverage your data plan and even skip on texting fees altogether if all of your contacts are in Cupertino's ecosystem. The app check the number you're about to send a text message to and if it supports iMessage, a blue balloon (in contrast to the default green one for paid SMS) elegantly informs that you've switched to the free service. Similar in terms of functionality is also the BlackBerry Messenger, but other instant messaging programs are also popular. Could those ultimately lead to the death of the SMS as we know it? Time will tell, but these services certainly sets the tone for change. As more of my friends got smart phones I used less text and more instant messaging with google talk. So much so that I found it stupid to pay Verizon $10 a month for the three people I was texting. I started using google voice for free texts to non-smartphone friends. It worked so well that 6 months ago I canceled my text plan altogether. I can't recommend google voice enough. I think paid SMS will disappear. There's so many free ways to send messages with a data plan. Social networks, google voice, text apps, email, instant message services. Included in iPhone data plans? Not with VZW? SMS will always be around for quite some time... It's a fall back, like e-mail. people have so many IM accounts that they don't check consistently. The only way it could be phased out is if it is replaced by an official GSM/CDMA IM standard. Even if that were to happen, there are millions of people who are using legacy handsets who need to be considered. SMS will never go away... Think about all the 14 year old teeny boppers that send 20,000 texts a month who do not have a smartphone. I could see texting becoming less prevalent as more and more people get smartphones, but I doubt it'll disappear all together. SMS isn't going away anytime soon. theres a gazillion ways to send electronic messages to people today. 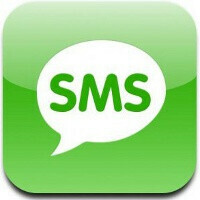 but none other than SMS/MMS has there been a worldwide standard for messaging with a mobile phone. unless an IM serice, whether its bbm, gchat, or imessage, takes off to become a global standard, SMS will never be replaced. How is it possible to pay 20$ for unlimited texting?! If people did this, that means they are complete morons. And of course the providers will not drop the price if morons exist.